Tea pickers in Kenya’s Mount Kenya region. The Mount Kenya Elephant Corridor (MKEC) reconnects a 14km traditional elephant migratory pathway between Laikipia and Samburu dramatically reducing human-elephant conflict. Africa’s elephant population has plummeted from roughly a million in 1970 to around 400,000 today – a decline which is largely blamed on poaching for their ivory tusks. At its peak in 2011, poaching claimed 36,000 elephants a year, or one every 15 minutes. Many of us are familiar with these statistics thanks to campaigns to end the ivory trade. But with our attention focused on poaching, an arguably greater threat to Africa’s elephants has emerged. In the time that Africa’s elephant population has crashed, its human population has boomed. The number of people living in Africa has doubled since 1982, reaching a billion in 2009, and is expected to double again by 2050. To feed and house this growing population, natural habitats have been fragmented by roads and railways and entire swathes have been converted to farmland and settlements. As a result, Africa’s elephants have been squeezed into smaller and increasingly isolated pockets of land. It’s very possible that the future for all of Africa’s elephants will resemble what is currently seen in South Africa. Here, elephants are largely confined to small, fenced reserves separated by vast human-dominated landscapes. Elephants can’t disperse from these reserves, but their relative protection within them has seen their densities increase. So much so that in stark contrast to the “elephant extinction” narrative we’re used to, some consider South Africa’s reserves to have “too many elephants”. 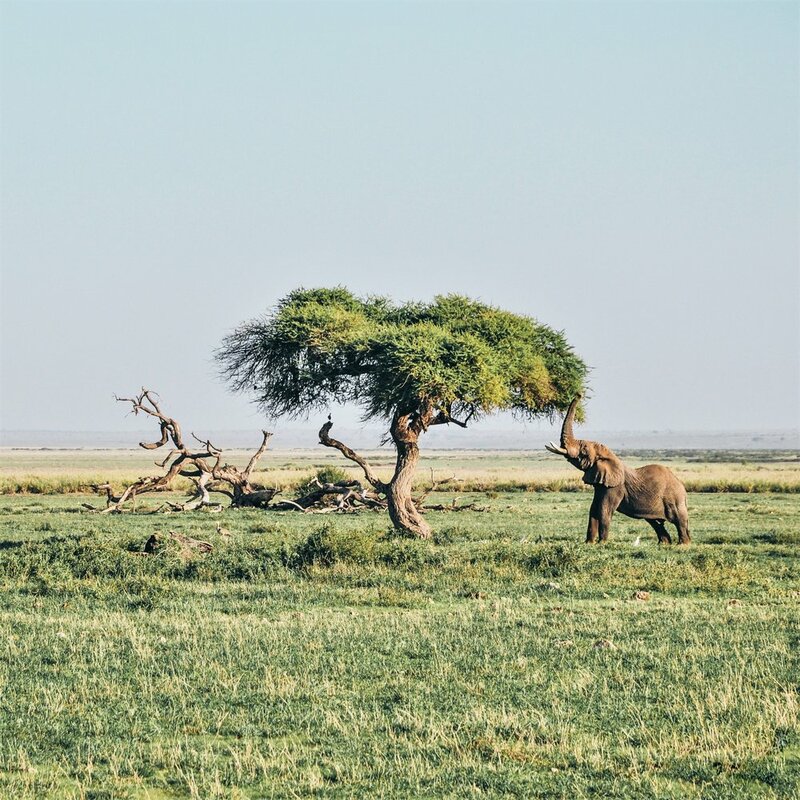 Elephants play a crucial role in Africa’s savanna ecosystems as seed dispersers. Their dung recycles valuable nutrients and by feeding on trees they maintain the savanna’s matrix of woodland and grassland and the biodiversity it supports. However, over prolonged periods, high elephant densities can reduce tree cover, which shrinks woodland and expands grassland habitats. This may threaten browsing species, such as black rhinoceros and bushbuck, for which trees provide food and shelter. Managing elephants to prevent habitat change and preserve biodiversity has a long history. Culling programmes continued into the late 20th century and only ended in Kruger National Park in 1994. Culling remains a “last resort” for managing elephants in South Africa and there have been recent calls to resume culling operations in Botswana. Culls have now largely been replaced by non-lethal approaches, including translocating elephants to other areas and contraceptives to reduce birth rates. However, all management interventions cause some degree of stress for elephants. There’s always a small risk with using anaesthetics and hormonal contraceptives can alter an elephant’s behaviour. The fundamental question over the future of Africa’s elephants is whether we are happy to allow them to exist only where they are heavily managed. If so, then we’ll need more research to understand the most effective and ethical ways of managing elephants. If not, then securing more space for elephants alongside human communities could be the answer. This boils down to an old debate – to spare land or share it. Land sparing means separating pristine wildlife habitats from areas of human activity while land sharing involves maintaining biodiversity within landscapes shared by humans. But which is best for conservation? 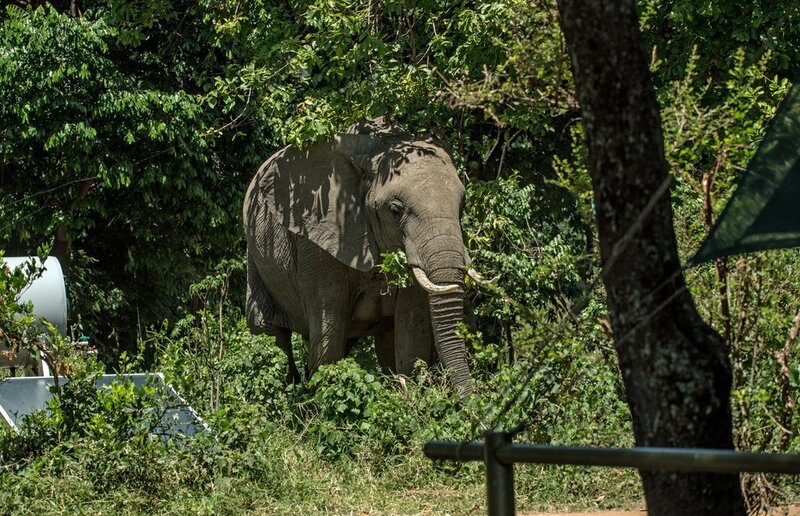 South Africa shows us what land sparing means for elephants – expensive, ongoing management in densely populated reserves. The alternative land sharing approach gives elephants greater access to Africa’s landscapes, but relies on coexistence between people and elephants. At present, land sharing systems outside of Africa’s national parks and reserves are fragile. Human-elephant interactions can threaten the lives of both parties but strategies exist to help coexistence. At the heart of all of them is an understanding that there must be clear benefits to humans in sharing space with elephants. The revenue from tourists paying to see elephants can provide direct employment but education programmes are also necessary to help people understand how elephants benefit the wider ecosystem. Livelihoods outside agriculture must be encouraged to reduce pressures on habitats and wildlife while providing stable incomes in the face of changing environments. Thoughtful land management and planning should ensure vital elephant habitats are protected. Groups across Africa are already working on solutions which can deliver this. Alongside tourism, projects have emerged which generate revenue from elephants without harming them or the environment, such as producing paper and gifts made from elephant dung. The charity Save the Elephants teaches local children about the benefits of living in harmony with elephants and organisations such as the Amboseli Ecosystem Trust have started working with conservationists, politicians and local communities to plan how coexistence can be achieved. Land sharing between humans and elephants will depend on this kind of collaboration between governments, conservation groups and local communities. If people want more for Africa’s elephants than confinement to heavily managed reserves, then everyone needs to be consulted. Only then can there be hope for peaceful coexistence between people and elephants. A mother and child watch an elephant over a protective fence set up by their community in Kenya © WWF-UK Story via Africa Geographic. There is widely held belief that the only way we can protect globally endangered species that are being poached for the international wildlife trade is to completely ban the trade. This is a dangerous misconception and will speed up extinction rather than prevent it. Adrian Lister, a mammoth expert from University College London, recently suggested that mammoths should be listed under the convention on international trade in endangered species to keep their ivory from being laundered into an illegal trade in tusks. He argued that the mammoth trade is encouraging the poaching of elephants by keeping up the demand for ivory. This is madness. Mammoths and mammoth ivory is not rare – it is estimated that there are 10 million mammoths that remain incarcerated within the permafrost of the Arctic tundra. And in any case a ban on mammoth ivory would not stop the trade, it would simply drive it underground and attract the attention of organised crime groups. For example, in my own research I found that prices for illegally caught whale meat rose very quickly when enforcement efforts intensified and this in turn led to the trade being controlled by dedicated “professional” criminals. In the same way, a ban on mammoth ivory would drive up prices and lead to many mammoth sites being excavated in clandestine fashion, without any associated scientific endeavours to garner knowledge and understanding of these great beasts. In fact the current situation supports collaboration between collectors and academics about new finds, to the benefit of scientific research. A ban would not save the elephant either. In fact it would do the opposite and probably hasten its extinction in the wild. Although record levels of funding are now being invested in enforcement and anti-poaching measures to tackle the crime, many species such as the rhino remain on the path to extinction in the wild quite simply because bans aren’t working. Around the world, incentives to poach elephants and rhinos are increasing due to rising prices and growing relative poverty between areas of supply and centres of demand, and while trade bans can curtail supply it does not seem to have reduced demand in any measurable way. Indeed, high levels of protection can actually stimulate demand for a species due to something called the anthropogenic allee effect. Economic theory and research can explain why this happens and why we need to urgently reconsider our reliance on global trade bans. Where there is demand that is not very sensitive to price changes and strong enforcement of a ban, prices for illegal wildlife products will rise steeply, but have little overall effect on supply and consumption. This is especially true where organised criminal networks can circumnavigate the police and customs – a relatively easy trick for countries mired in corruption. In this situation we need to look beyond regulation and consider bold strategies that actually make economic sense. In particular we need policies that drive prices down and reduce the pressure on wild populations. To do this we should be considering introducing sustainable off-take mechanisms such as regulated trade, ranching and wildlife farming. If these new sources of supply are close substitutes, such as mammoth and elephant ivory, these mechanisms will certainly cause prices to fall and pressure on wild populations to reduce. We have seen this happen successfully with crocodilian species, where farmed animals have largely taken over the market and recent economic research in Canada shows that the sale of mammoth ivory into the ivory business in Asia has actually led to lower prices for elephant ivory saving thousands of elephants. Basic economics tells us that when one introduces a substitute, especially a very close substitute, the price of the alternative product will fall. A recent analysis linked with empirical data predicts that the 84 tonnes of Russian mammoth ivory that was exported to Asia on average per annum over the period 2010-2012 would have actually reduced poaching of wild elephants from 85,000 per year to around 34,000 elephants per year, primarily by reducing elephant ivory prices by about $100 per kilogram. The policy implication is simple – the mammoth ivory trade should be legal and sustainably managed rather than banned – this will help save both the living elephant and the extinct mammoth.